When power goes out in the rural town of Soroti in eastern Uganda, store manager Hussein Samsudin can only hope it won’t go on so long it spoils his fresh goods. Another shop owner, Richard Otekat, 37, has to pay a neighbour hourly to use his generator during blackouts as he can’t afford to buy one himself, while others simply go without. However residents of the town, surrounded by thatched huts, rivers and grasslands, hope a new solar plant, which went into operation last week, will bring an end to their electricity woes. The €18 million, 33-acre solar plant – the first of its kind in East Africa – can produce 10 megawatts of power that is fed into Uganda’s national power grid. The project is crucial as Uganda seeks new ways to bring electricity to the 80% of its 40 million-strong population that does not have access to power. 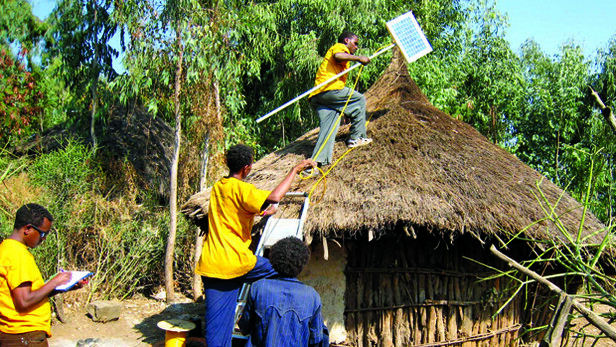 Kofi Annan, Bob Geldof, Richard Branson and international business leaders have joined politicians from 14 African countries to launch a global campaign to bring solar power to the 620 million people on the continent who must still use kerosene, candles and wood to light their homes and cook. “We are an agricultural economy, the majority live in rural areas,” said Ziria Tibalwa Waako, acting head of the national electricity regulator, Uganda Electricity Regulatory Authority (ERA). She said the main source of energy available to most Ugandans is firewood, while others use charcoal and gas, as electricity is just too expensive at around 15 cents USD a unit. 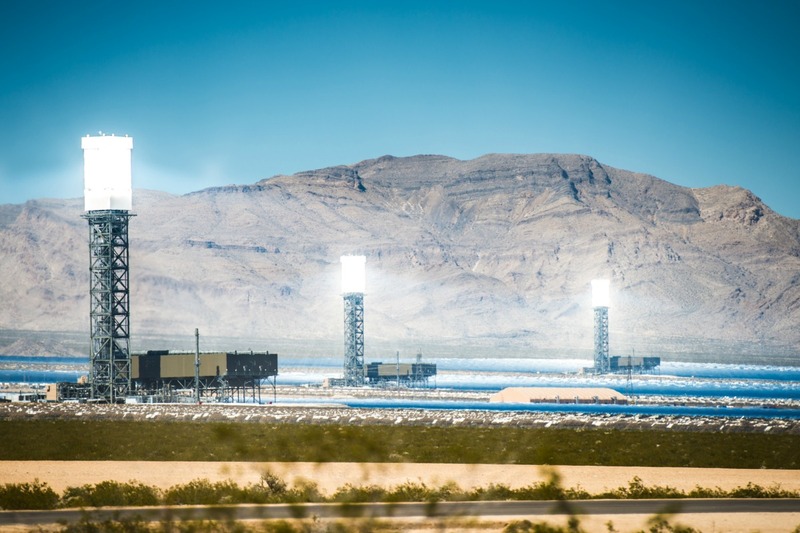 It is hoped the introduction of power from the solar plant into the national electricity grid – fed by hydro power and independently run diesel generators – will bring the price down. “Power is costly. It eats into our profit margin,” Otekat told AFP. “Unfortunately when power is not there for like six hours that is an automatic loss we are expecting,” said fellow shop manager Samsudin, tired of melting ice-cream and meat going off. “The plant will provide clean, low-carbon, sustainable electricity to 40,000 homes, schools and businesses in the area,” said Christophe Fleurence, vice president of Eren Renewable Energy, one of two private companies operating the plant, funded by EU partners. Uganda has one of the lowest electrification rates in Africa, according to Climatescope, the clean energy country competitiveness index. While the solar plant could ensure businessmen like Samsudin and Otekat have a more steady power supply, those who aren’t yet connected to the national grid or cannot afford electricity at all, are unlikely to benefit soon. And the wait for electricity can prove dangerous. “People use firewood to light their houses because kerosene is very expensive to some households. We had cases of people’s homes burnt especially as they slept or when left unattended to,” said local official Edward Esegu. Many African nations, and developing nations elsewhere in the world, are taking the lead in renewable energies by turning to solar as a first step in their power arsenal. Climatescope said that clean energy investment had doubled from 2014 to 2015 to reach $5.2 billion in the 58 emerging markets it surveys. And Bloomberg New Energy Finance released data last week showing that solar had surpassed wind in becoming the cheapest form of new electricity. Aside from Uganda, Senegal, Mauritania, Rwanda and Kenya are among the sub-Saharan African nations investing in large-scale solar projects. Kenya is building a 55MW solar plant and Rwanda is working on an 8.5MW solar plant. King Mohammed VI on Thursday (4 February) inaugurated Morocco’s first solar power plant, a massive project that the country sees as part of its goal of boosting its clean energy output. Meanwhile, consumers who don’t want to wait for the government to provide them with energy often buy small solar panels to power their own homes and businesses. “People walked two or more kilometres to charge phones at a fee but slowly some have bought smaller solar panels,” said Esegu. While Uganda is hoping to triple its generation capacity in the next three years, switching on two other solar plants, Waako says it is smaller, mini-grids that are more affordable to power up the most far-flung villages. “We recognise that the extension of the grid to the rural poor is not financially viable because of the sparse nature of our population,” she said. Robert Otala, 50, gave up some of his land for the solar plant, and now lives 300 metres from the shiny panels soaking up the sun. “It is good. It has come to develop the area,” he said. However he is one of several who will be unable to access the power from the plant, as he is not connected to the national electricity grid. “We are in support of these projects but government has to prioritise the needs of the communities hosting such national projects,” said local MP Herbert Ariko. 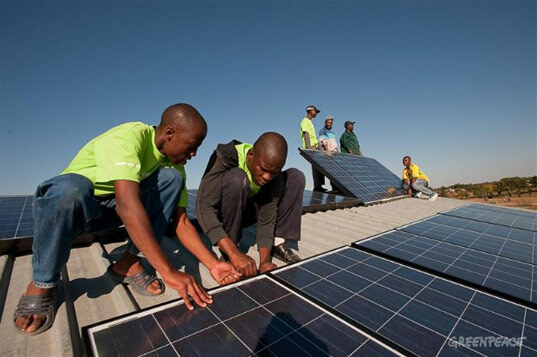 A conference in Cape Town, South Africa, attended by ministers and government representatives of 28 countries, called for increased development of renewable energy, with rural needs being met with grid and off-grid solutions. A dramatic fall in the cost of solar power, combined with growing access to mobile phones, has given Africa the chance to leapfrog richer countries’ polluting energy sources and to kickstart business. 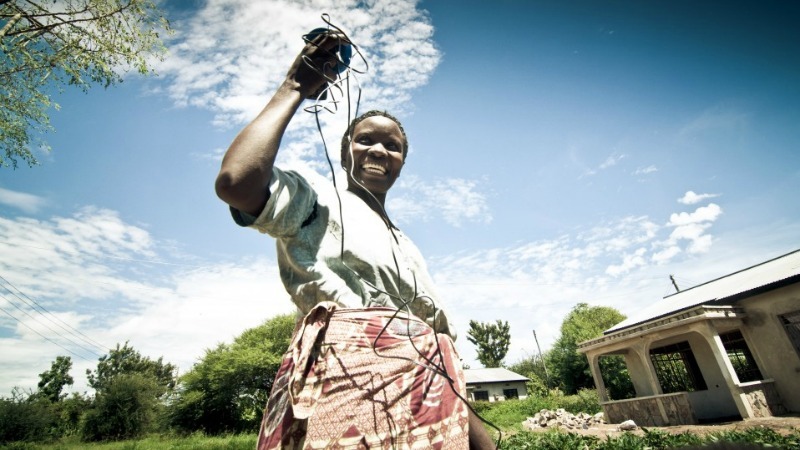 Electricity is a key resource for economic and social development. Basic services like education, sanitation and communication rely on it for lighting in schools, the refrigeration of food and power for modern technologies. Former UN Secretary General Kofi Anan said lack of access to electricity is "an injustice that robs millions of our fellow citizens of the dignity, opportunity and freedom that comes with access to modern energy." At present rates of progress, he said 300 million people in Africa will still lack electricity by 2040.